Logistics consist on the process of storing resources and shipping to their final destination. It is your back-end supply chain management that is crucial for the success of your ecommerce, and it can either make or break your business. Ecommerce logistics can be far more complex than at a bricks-and-mortar store, where the goods are shipped from the warehouse and simply handed to a customer at the time of purchase. On an ecommerce business, logistic goes beyond finding a good courier partner, it also involves warehousing, looking at tracking and insurance, shipping profitability, packaging, etc. According to Inbound Logistics, the traditional fulfillment that includes the extensive logistics process of receiving the goods, storing, transporting through the DC, packing and mailing, is not an effective process for ecommerce businesses since the shipping mostly occur in small volume orders to consumers. The logistics process for an ecommerce business can be as simple as picking, packing and shipping in this case. Let’s start with the basic by defining your warehousing needs. Typically once a customer finish their purchase on your website, the transaction will trigger your inventory software and automatically adjust it; and as you get the notification that the order has been confirmed, you need to organize the product’s shipment. There are different ways you can organize the shipment, depending on the size of your ecommerce operation. If you have a home office operation and store your inventory at the same space, all there’s left to do is packaging the product right away and send it to the buyer, with only having to source a courier partner. If your operation is large enough to require the outsourcing of a distribution center, then once the purchase is confirmed your third partner will be trigged to package and send the products out from the DC. The time when packaging was a simple box to make the shipping process easier and safer are behind us and we are living an era when packaging is an important part of your customer’s shopping experience, and a clever tool to set your ecommerce apart once it becomes the extension of your brand. Simply take a look at your target’s Instagram feed and you will easily find one or two videos of products being unboxed. The experience and the personalization lies in the details of every point of contact you have with your customer, and the product receiving is definitely the most expected one, making packaging an important branding tool. But at the same time you think about impressing your customer, you have to take into consideration two important aspects of packaging: pricing and safety. Packaging can raise the cost of your shipment and will have an impact on your product’s or shipping pricing, so you might want to decide on how much you are able to spend on packaging before you begin to think outside the box (unintended joke, I apologize). This being said, you need to think about the different sizes of packaging your products require and the packaging weight, and whether you need to purchase bubble mailers or packaging cushions to keep your product safer, for example. Because most shipping couriers base their pricing on size and weight, you would want to keep your packaging as light and small as possible as you wouldn’t want to rise your shipping price or having your packaging biting a slice of your profit margin. Another thing that may help you saving up on packaging is considering the amount of packaging you are able to store at a time, and to invest on, in order to reduce the unit cost from your packaging supplier. Choosing a shipping strategy for your ecommerce business is also an important step on your business operation, as different shipping pricing and methods have the power of elevating your conversion rates as it reduces shopping cart abandonment. But because someone has to pay for this shipment, you should take all options into consideration prior to deciding which one makes more sense to your ecommerce. Offering free shipping is becoming increasingly popular, but as said above someone will have to pay the price, and you can either increase your product price to cover the costs (make the customer pay), take the shipment cost out of your profit margin (your business pays for it) and you can also split the shipment cost between the two of you, which means partially increasing the product price and taking the other half out of your profit margin. Another way is to offer free shipping on a minimum order amount, in an effort to increase the average transaction value. If risking your profit margin or increasing your product price is out of the question for your business, then you can also charge real time carrier rates, which is when the customer types in their post code and receive options for couriers and prices, and they make the choice on when to receive their other and how much they want to pay for delivery. And a third – and most popular – alternative is to charge a flat rate shipping, so long you make sure you won’t drastically undercharge or overcharge your customers. This works better if your products range the same price and size, as it wouldn’t make sense for someone to pay $30 for a flat rate shipping whether they purchase a selfie stick or a fridge. There is no formula to decide on the best shipment option for your ecommerce, and apart from weighting and size, the shipping price will also be impacted by the departing and the destination countries, tracking option and insurance, hence why it is difficult to compare services and different couriers as each business will have its unique variables. The good news is that on most of the courier’s websites you are able to access a shipping calculator and compare prices. According to Shopify UPS or FedEx are normally the best options for shipping heavier packages and more trustworthy with regards to tracking and delivery, however more expensive. To make sure you won’t lose money when deciding on a shipping method for your website, you should take into consideration the cost of product, the packaging cost, the shipping cost, the credit card fee and the expected profit margin prior to deciding on the final price of the product. When comparing courier prices you should notice if they already include the insurance built in, and whether this is something you would like to add to your shipping option. Generally speaking the cost for adding tracking and insurance to your shipping is low and depending on the price of your products it is highly recommended to add the two. According to Shopify, some payment services like PayPal require either proof of delivery or a tracking number to be eligible for Seller Protection insurance. Understand why PayPal is not enough to sell across borders in some countries. When shipping to other countries, including Latin American countries, a document for customs, which can be obtained online or from your local post office, will need to be included in the packaging. This document details to the customs officers the content of the packaging, its cost and if it is a gift or a personal purchase.The clearer this document is, the less likely to get stuck in customs. However, as this may happen you should inform your customers that you don’t have control over it in order to set clear expectations regarding the delivery date and possible surcharges. There are no set rules for organizing your ecommerce logistics processes as your business has its unique values that will require specific packaging personalization, shipping methods, tracking and insurance and will be a better suit with one of the many couriers available for both national and international delivery. The more you know about different shipping methods and the pricing on delivery from different couriers, as well as the quality of their work, the best it will be as your business grow and start requiring different warehousing or delivery services and processes. Just keep in mind that delivery is an important aspect of your business to your customer, from packaging to pricing and delivery time, but it should not bite too much – if any – of your profit margin. Increase your sales by offering shipping to Brazil. Why not selling your products to the hottest economy in Latin America? 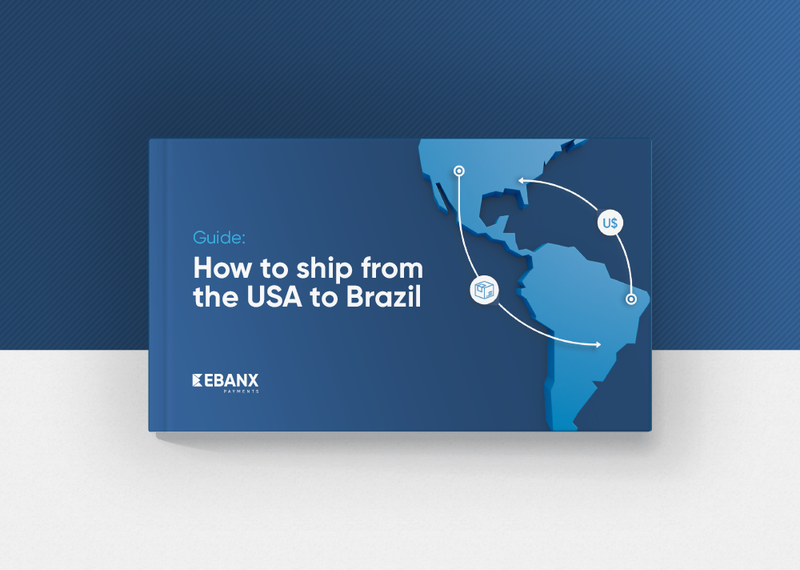 With our guide, shipping from the US to Brazil is easy as pie.